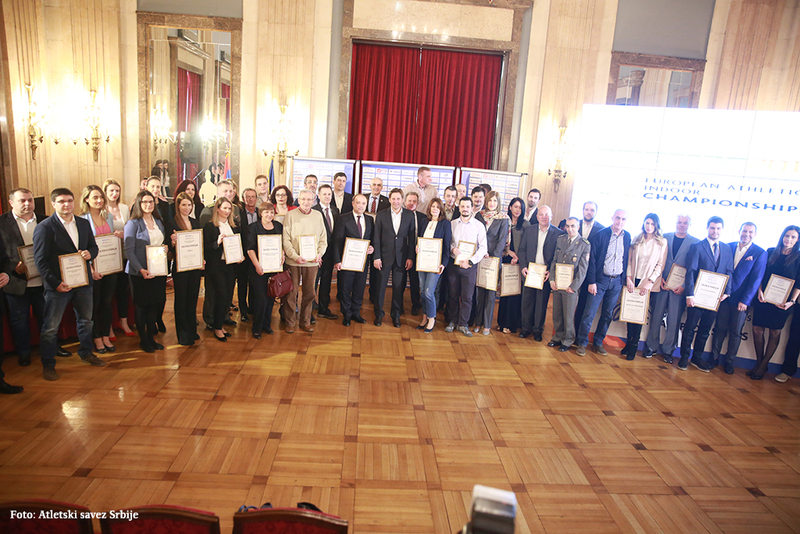 On the occasion of the European Athletics Championships held from 3 to 5 March 2017 in Belgrade, the Athletics Federation of Serbia awarded 54 acknowledgments to the most deserving institutions. Acknowledgment for the provided health care services during the Championship was awarded to the Military Medical Academy, which was received by the Acting Head Col. Prof. Dr. Miroslav Vukosavljevic in a ceremony held on Friday, March 24, 2017. In addition to the MMA, acknowledgments were awarded to the Ministry of Defence, Military Academy and other institutions that participated in the organization and servicing of the Championship.